If you remember from your freshman Biology class, you were told two-thirds of the earth’s crust is covered by water. You also may recall 70 percent of the human body is water. 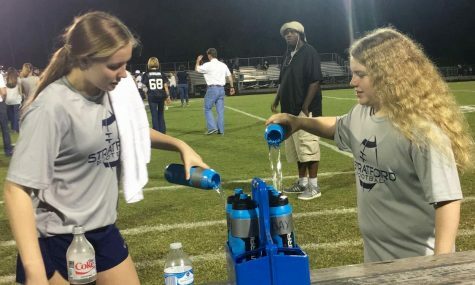 But did you know in the duration of a football game, players consume roughly five gallons of water? We are managers for Stratford’s varsity football team. 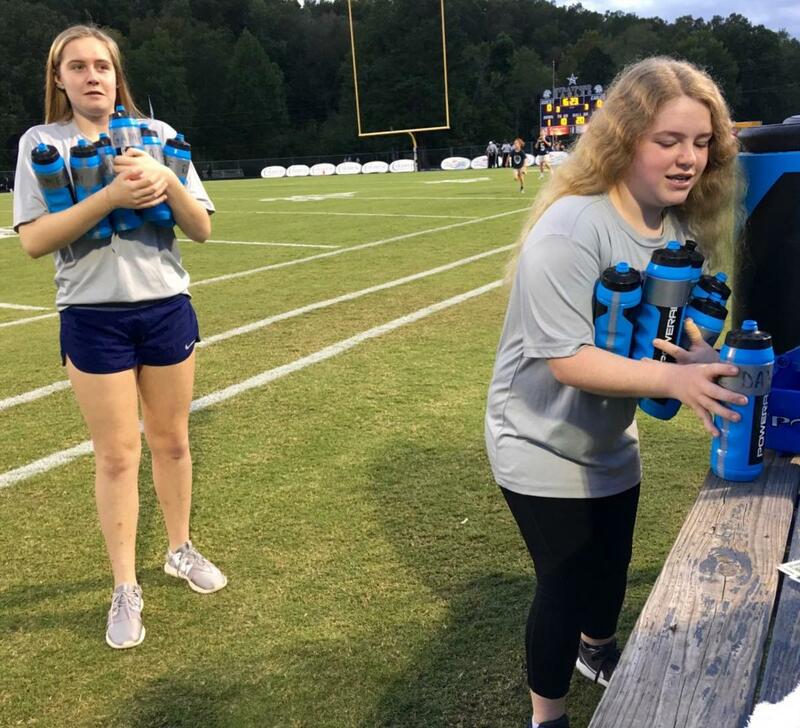 Before the game begins and at halftime, we fill up six water bottles each and make sure we have a towel at hand. During the game, we distribute the water bottles to the players. We have to stay alert in case a player is dehydrated. Along with having responsibilities, we are held accountable if anything is left behind. We make sure all of the water bottles and coolers, make it back to the bus when the Eagles have an away game. The other students who work with us are head manager Cole McDaniel and ball boys Cooper Baskette, John Wade and Lawson Cole. Well, we see it every Friday night. On the sideline, there is a lot of white noise, because you are so focused on micromanaging the players, but the Stratford spirit is great! Our favorite part is interacting with the players and coaches and being able to see the game in a new perspective.